I love snowflakes as a subject for art class first because they are so unique and intricate the possibilities are endless. Second, snowflakes are perfect for the winter season without being tied to holiday. Learn how to draw snowflake the easiest way ever in this snowflake drawing tutorial and enjoy them all winter long! This is a great spot for a mini science lesson. How these tiny ice crystals from such amazing shapes is totally worth a few minutes of investigation. The Story of Snow: The Science of Winter’s Wonder is a beautifully illustrated children’s book that walks your kiddos through how snowflakes form and talks about shapes commonly seen in snowflakes. 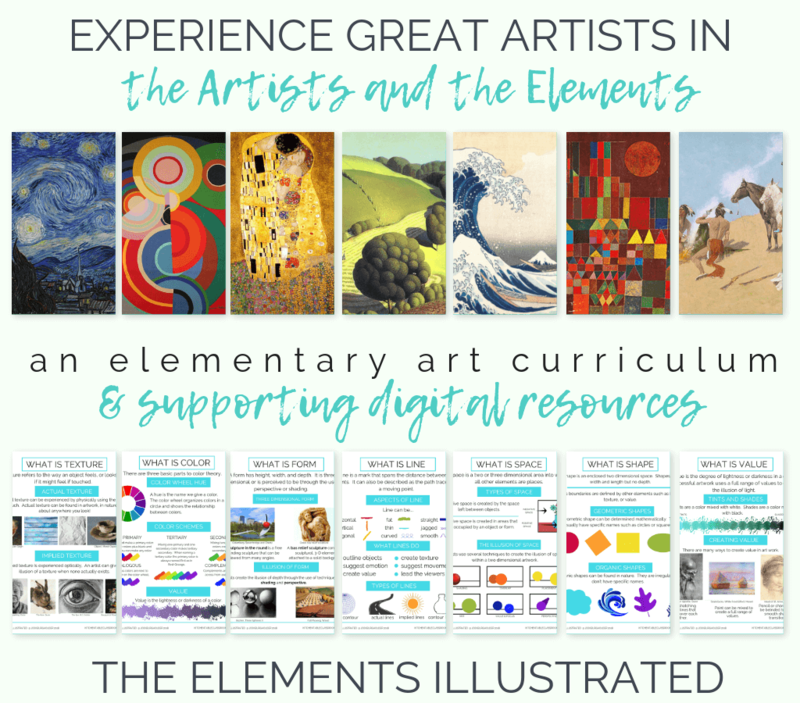 These illustrations will give them some great inspiration for their own drawings! 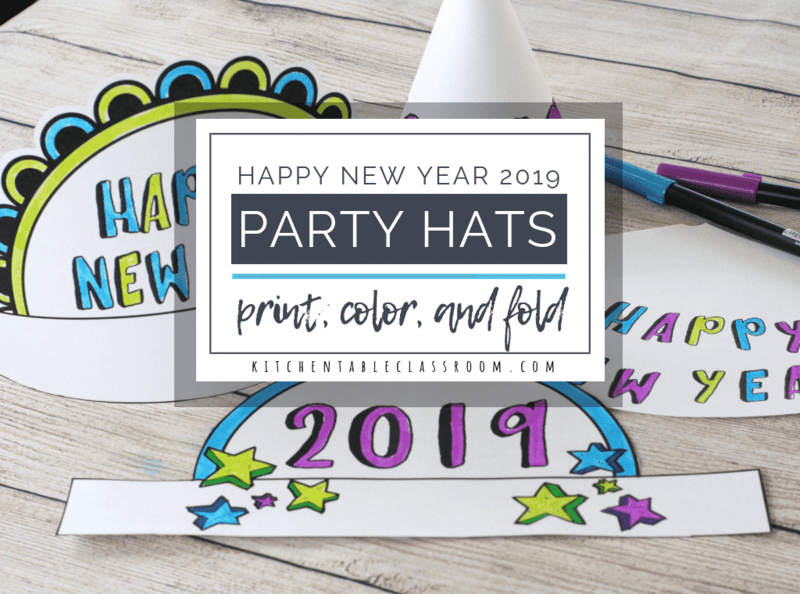 Grab a piece of black construction paper and head outside on a snowy day. Bonus points of you have a handheld magnifying glass to really check out all those tiny shapes. 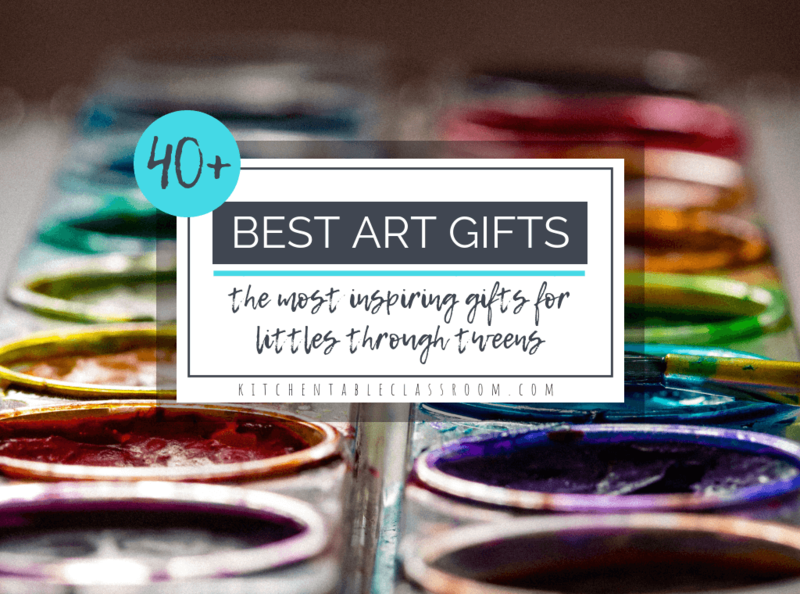 (My kids have one of these chunky ones that my kids have used for years!) This is such an easy, no prep activity and kids think those shapes they catch are like magic. Watch this snowflake drawing tutorial below for a first hand look…. Notice the shapes within the snowflakes. Are they mostly geometric or more natural and organic? (See this post with a free printable for more about different types of shapes.) Ask kids to notice how the same shapes are repeated over and over within each snowflake to create a pattern because they will be creating those types of patterns in their own snowflake drawing. Imagine folding the snowflake in half and checking for symmetry. Symmetry is the quality of being made up of exactly similar parts facing each other or arranged around an axis. Snowflakes are a great natural example of symmetry. Check out this symmetry printable for more information. I love about this super simple process because the snowflake drawings are so simple yet they look so complicated and intricate. 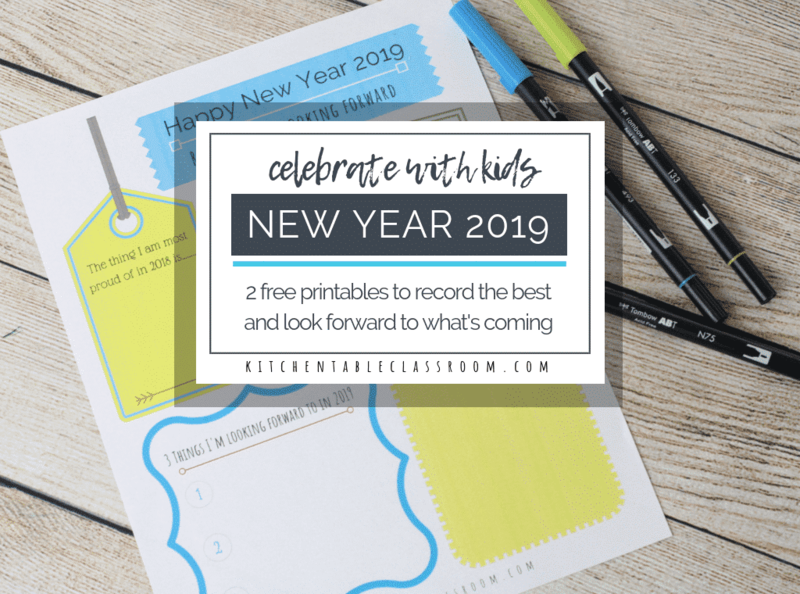 Start by cutting out a circle of plain copy weight paper. Any size will work. We started with circles about the size of a roll of masking tape. Fold circles into eighths or fourths, if you’re working with younger kids. Open circles up and trace over each fold line using a permanent black marker. Start by adding a simple line to one section. Repeat that line all the way around or create a pattern by alternating the direction of that line in every other section as shown below. That up, down, up down pattern will result in some pretty cool star shape patterns perfect for a snowflake drawing. Add another line and repeat the pattern all the way around. The division of the paper into equal eighths (or fourths) makes these intricate designs really come to life quickly and easily by providing a super easy framework. Add more and more lines. Add color to your snowflake drawing…. 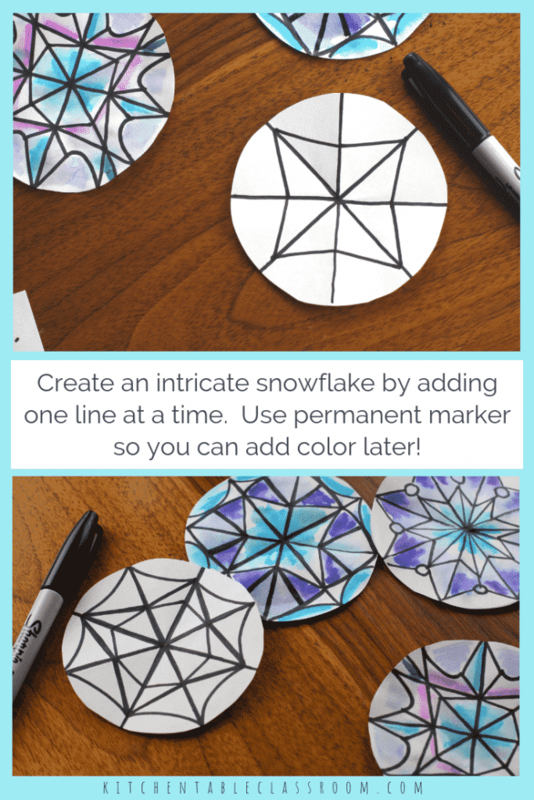 Let’s add some icy color to each snowflake with my favorite no mess marker method! Add bits of color here and there using washable marker. This can be a quick little dash of color here and there. There is no need to color the entire snowflake! Here comes the fun part. 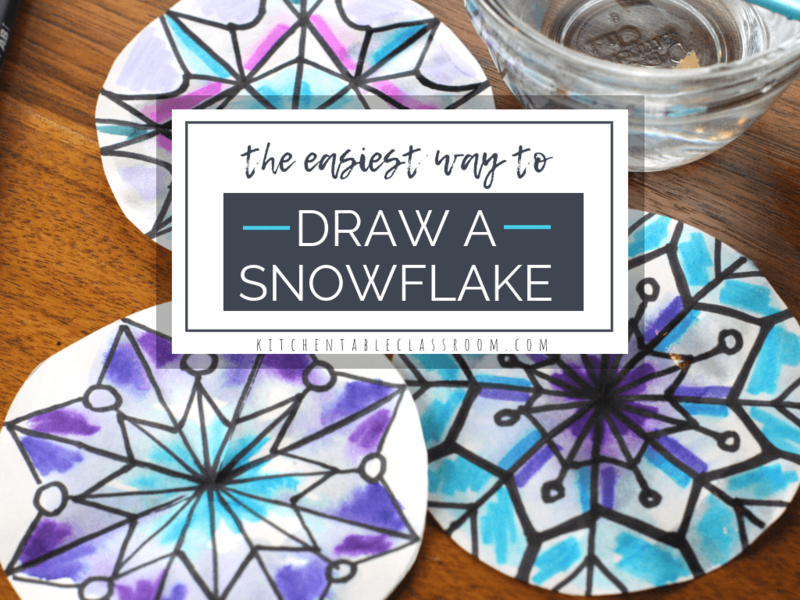 Grab a soft paint brush and some water and paint over the markered areas of your snowflake drawing. Watch as the marker begin to liquify and spread just like watercolor paint. This is such a quick and easy way to add color to artwork without the fuss of paint. 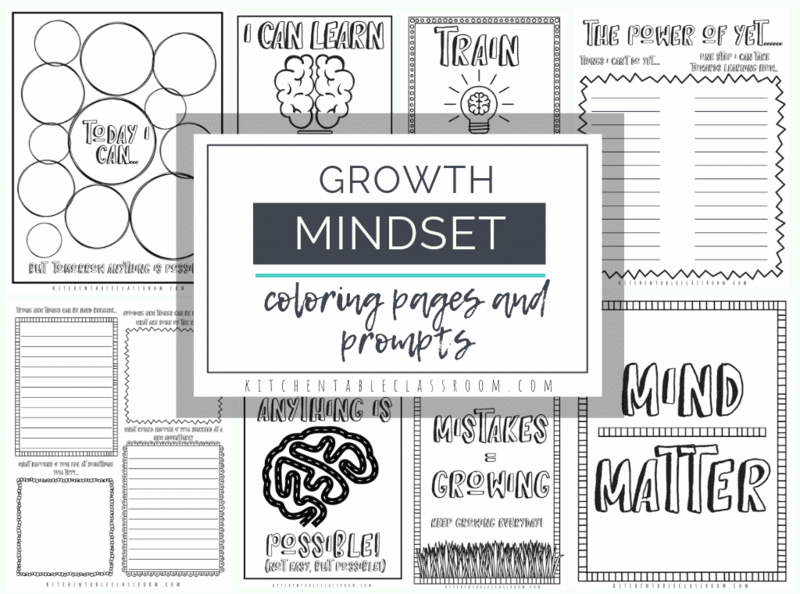 I use this one over and over again with kids! 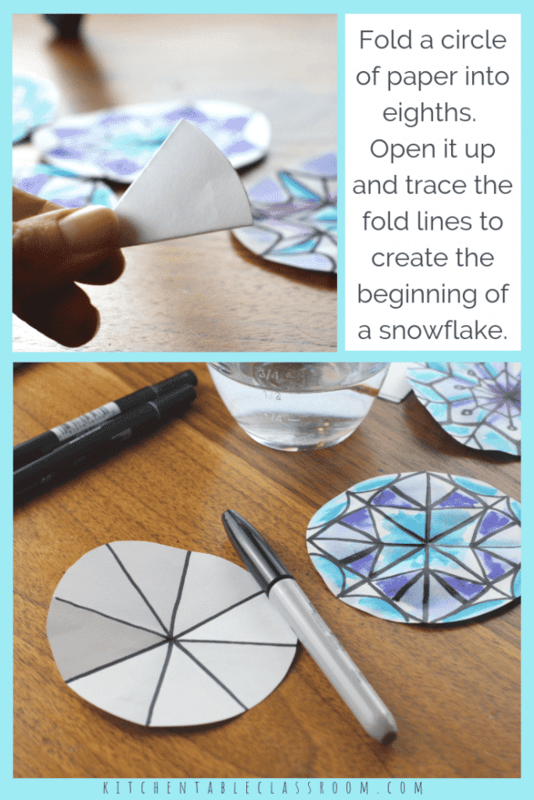 If you’re looking for more ways to demonstrate the symmetry within snowflakes these origami mini paper snowflake ornaments. They require only paper and make a sweet little keepsake ornament. 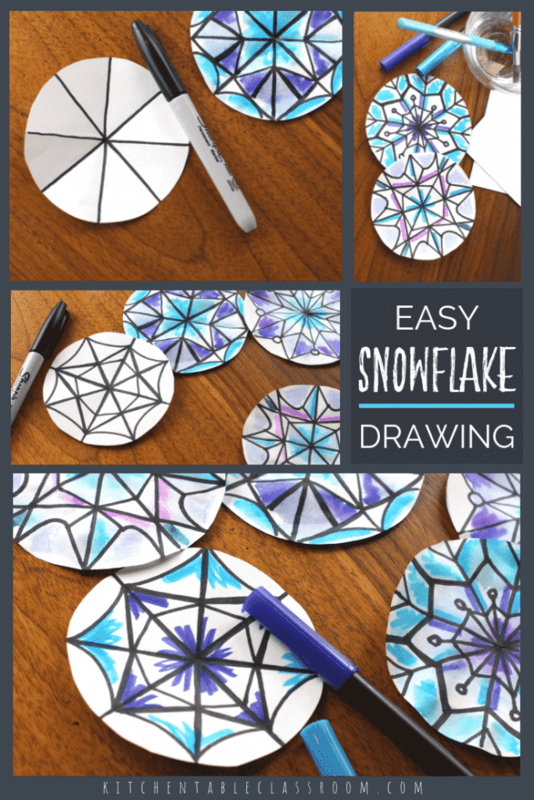 These colorful coffee filter snowflakes are also a great extension of this snowflake drawing tutorial. If you enjoyed drawing snowflakes please share this post on your favorite social media channel! Love the simplicity of this project – using it as a follow up to our symmetry math lesson today. Thanks for the clarity and easy of your wonderful “how to” video, too! That’s awesome. 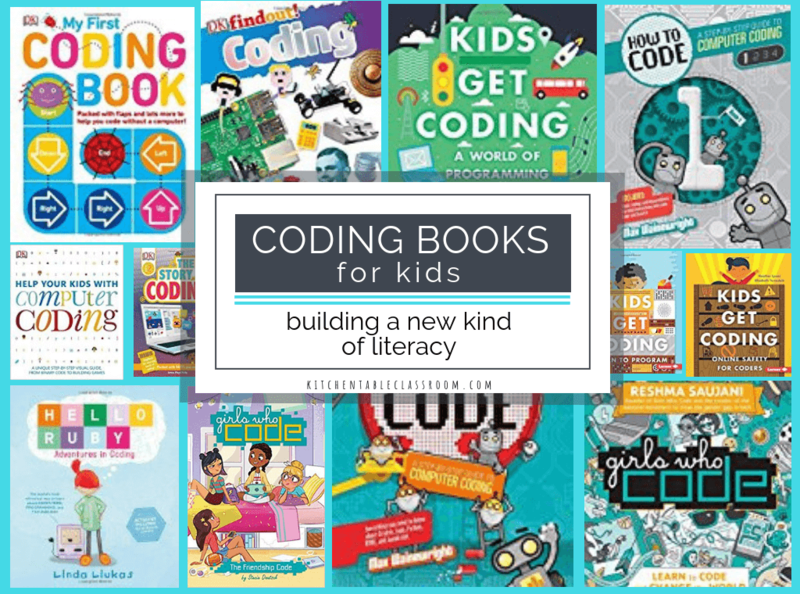 So many great connections when you start looking! Cute idea.. BUT, to make it more scientifically accurate, it needs to be based on a hexagon. Snowflakes usually have 6 (or 12) points, because of the way their H20 elements form together as water vapor. Just sayin’. As a teacher, I try to teach it accurately, even when doing crafts. You’re correct on the snowflakes but as an artist I find it totally acceptable to create things that aren’t accurate as well. 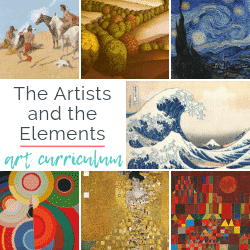 If you want to use the folding method in the lesson feel free to change it up to three folds or use it as a chance to talk about artistic license and how artists can use real life as inspiration. I really appreciate the quick videos. I’m a visual learner, so it helps me to SEE it. ;-D . And what cute ideas! I ended up watching every single video! Today we’ll be making snow globes…AND snowflakes! Ahh thank you Megan! I love to see things first hand too. Making videos, though, is a new undertaking for me so I appreciate the encouragement! but…. snowflakes are, by definition, six sided! !